Mildred White Price was born October 24, 1933, in Geary, OK, to Bill L. and Lillian M. (Johnson) White. 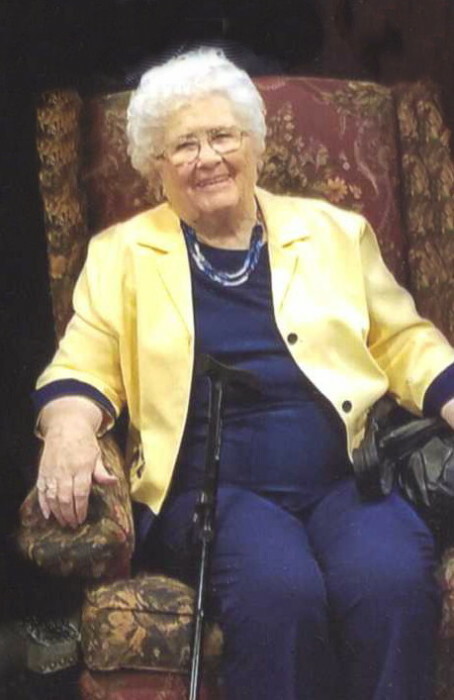 She passed away on Monday, January 28, 2019 in Oklahoma City, OK at the age of 85. Mildred attended and graduated from Geary Schools. She married Ray Price on May 5, 1950 in Chickasha, OK. The couple moved to Kansas City, MO where Ray worked for AT&T. From there the couple moved to Pleasanton, KS, Chicago, IL, Minneapolis, MN, Omaha, NE, Salt Lake City, Utah, and New Jersey while commuting to NYC. They moved back to Geary, OK in 1984, then to El Reno in 2002, Parkersburg, VA in 2008, Ripley, WV in 2013 and then in 2016 they moved to OKC to The Fountains at Canterbury. Mildred was a member of the Britton Road Church of Christ. She enjoyed playing Bingo, Mexican Train, and loved to shop. She loved taking care of everyone. She was preceded in death by her parents, Bill and Lillian White, 2 brothers, Paul White and Charles White, sister, Jimmie Clayton and first born infant daughter, Connie Price. Survivors include: husband, Ray Price of OKC, OK, 3 children, Raeline Tyner and husband Larry of OKC, OK, Sharla Lawrence of OKC, OK, and Jerrol Price and wife Wendy of Ada, OK, 4 grandchildren, Kimberly Ka Llmann and Jacek of Clayton, NC, Beverly Sorrels and husband Gene of Pauls Valley, OK, Jason Price and wife Sara of Culpeper, VA, and Christine Decker and husband William of Culpeper, VA, 11 great grandchildren and 2 great great grandchildren, brother, Bill White and wife Mary of Duncanville, TX as well as many nieces, nephews, other relatives and friends. Services entrusted to Turner Funeral Home, Geary, Oklahoma. Condolences may be sent to the family at turnerfuneralhomes@gmail.com, turnerfh.net, or you can find us on facebook.com (Turner Funeral Homes).